The Salvation Army and photography social startup imaginem have joined hands for a brand new campaign. 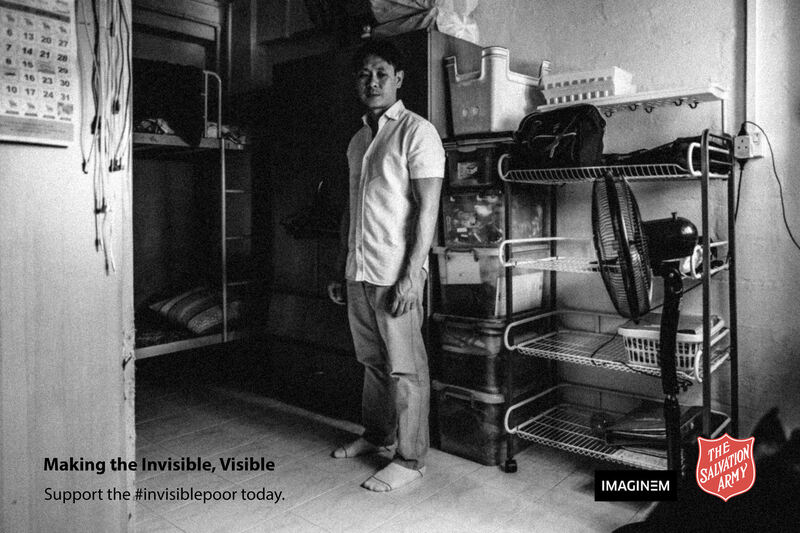 Titled ‘Making the Invisible, Visible’, the campaign zooms in on hidden poverty by highlighting the struggles of the poor in Singapore through the medium of black and white photography. The photographs will include portraits of well-known personalities taken at the homes or frequented locations of The Salvation Army’s beneficiaries, each one inspired by true stories of needy beneficiaries. All photographs are taken by renowned photographer Mr Aik Beng Chia (‘ABC’), the official photographer for the ‘Making the Invisible, Visible’ campaign, best known for capturing vivid and gritty images of moments and people. Through this campaign, The Salvation Army Singapore hopes to raise awareness and S$150,000 to transform the lives of their beneficiaries through their social programmes and services. Some of the personalities featured in these photos include MP and ACRES Founder Mr Louis Ng, Food Bank Singapore Co-Founder Ms Nichol Ng, actress Ms Cynthia Lee MacQuarrie, and World Toilet Organisation founder Mr Jack Sim. 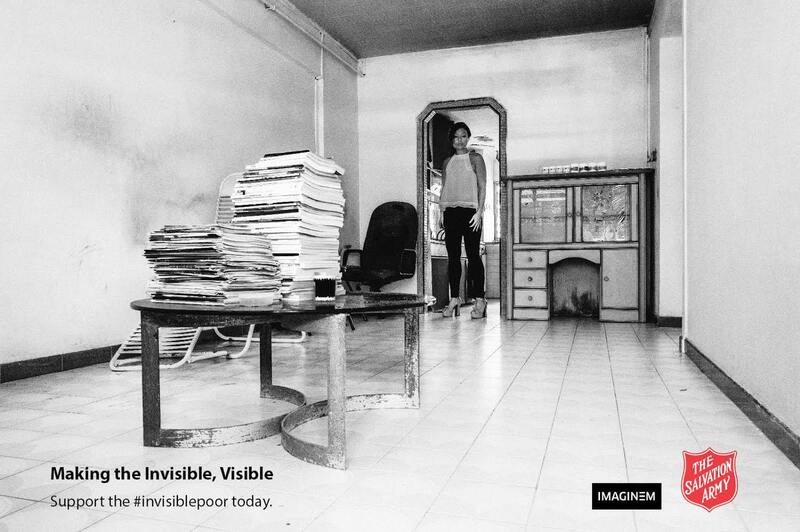 With their portraits taken at the beneficiaries’ homes and places they frequent, each personality hopes to use this campaign as a platform to raise social awareness of the hardships faced by society’s invisible individuals, and show the public the true living conditions of the less fortunate in our society.